Here’s some encouraging news: notwithstanding this year’s repeated ferocious attack by the Legislature upon the wallet of Oklahoma taxpayers, there is hope for the future. An article was recently written by one of the Legislature’s newest member, freshman State Representative Tom Gann of Inola. Gann serves on the House committee that’s commissioned to review the fiscal malfeasance at the state Health Department. 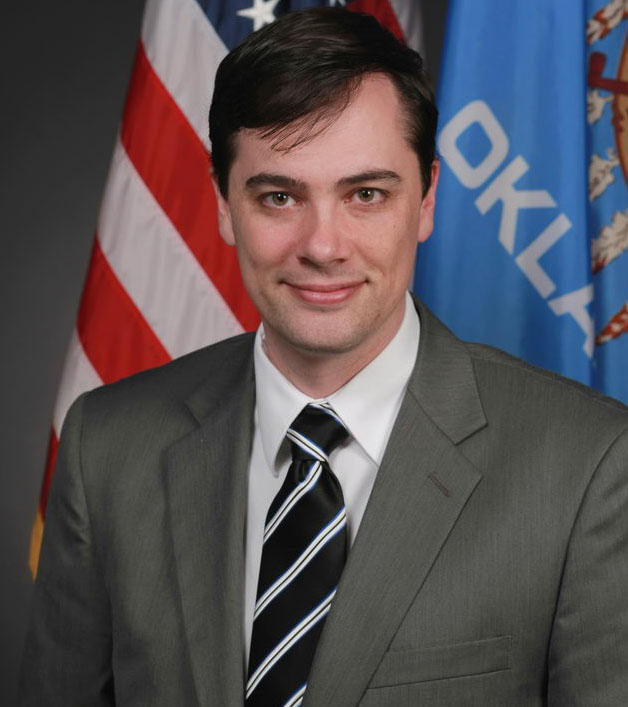 Though only in his first year in the House, Gann has deployed his private-sector skills as an auditor — the only auditor in the Legislature — to make some sense of the fiscal chaos of state government. He made the following observation that’s common in his auditing world but is all too often missing in government: at the highest level of any organization, leaders must create an environment of financial prudence because when they drop the ball, they open the door for corruption and inefficiency. In his first year as a lawmaker Gann was struck by the tendency of legislators to do whatever it took to raise taxes — even if it meant ignoring the Constitution. Gann believes that this cavalier approach to the law at the highest levels of government creates a lawless culture throughout all of government. Thus, the corruption at the Health Department (and potentially numerous other agencies) shouldn’t be a surprise. Gann published his observations in an article and gave permission to share it. “When referencing fraud prevention, auditors use the catchphrase ‘tone at the top’. It refers to an organization’s ethical climate, its integrity — set by its leaders. “Do leaders show a commitment to honesty, integrity and ethical behavior, or do they pursue winning at all costs? Are they transparent or do they hide what they are doing behind closed doors? “As a former auditor myself, I find myself now in government assessing the ‘tone at the top’ as I learn more and more each day about the shell game being played with government money. “A perfect example of what I’m talking about is the state Department of Health. A recent news story says that the agency ’employed a series of accounting tricks to provide the illusion of a balanced budget,’ but has in fact spent more than its annual revenues since 2011. “I’m afraid the health department is only the first indicator of a much deeper problem in our state. If this agency could get away with this for six years, how many other agencies are using similar tactics? We won’t know until we begin an audit of each recipient of state appropriations. “First, however, we must examine our ‘tone at the top’. If the Legislature itself thumbs its nose at the rules it establishes and enacts legislation that is clearly unconstitutional, why would we expect more from our state agencies? “Laws lose effectiveness when people ignore them. “When the Legislature funds pet projects and protects special interests, why would we expect our agencies to perform differently? “On the other hand, if we set a tone of transparency and we uphold ethical behavior from the top down, then our agencies would be more inclined to do the same. We as legislators need to be above board and set a tone of integrity. We should be able then to expect the same from our agencies. “We must raise the standard for ourselves as lawmakers first. If we’re going to point fingers at our agencies, we need to first look at ourselves. I do know that Gann isn’t the only new legislator to act in accordance with this type of refreshing common sense. While it’s still a bit of a rarity in the Legislature, I believe that in the last two to three months, some of the new fiscally-wise freshmen legislators are starting to gain traction in their effort to return fiscal discipline and good governance to the state. I hope this fact is as encouraging to you as it is to me.